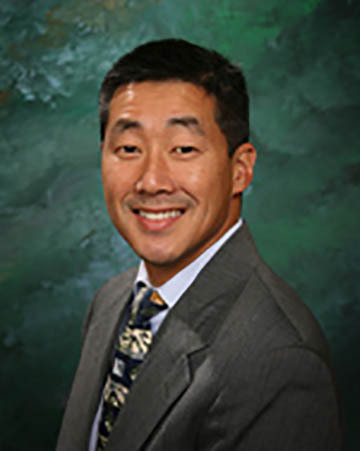 Douglas W. Miyazaki, M.D., is a board certified OB/GYN and Fellow of the American Congress of Obstetricians and Gynecologists. He completed both medical school and residency training at Wake Forest Baptist Medical Center. Upon completion in 1994, he co-founded WomanCare Obstetrics and Gynecology, a private practice in Winston-Salem, NC. In addition to serving as senior partner of WomanCare Obstetrics and Gynecology, Dr. Miyazaki supports Wake Forest Baptist Health’s OB-GYN Department as a clinical faculty member. Innovation and problem solving have always been in the Miyazaki tradition. Dr. Miyazaki fondly recalls how his passion for surgery and entrepreneurial spirit were sparked while spending time at his father’s side. Dad would take me to the anatomy and cadaver labs, and later the OR. I was privileged to watch him develop the practice of Saline Amnioinfusion for repetitive variable fetal heart rate decelerations for obstetrical deliveries. This procedure decreased the Cesarean section rate by 50% for that particular indication at Kaiser Hospital, Los Angeles at that time. Dad then became quite passionate about improving vaginal surgical techniques and he designed the surgical instrument called the “Miya Hook” for sacrospinous ligament suspension in vaginal vault prolapse repair. I spent many, many hours watching him work and innovate in our garage. He taught me how important it is to pay meticulous attention to detail and his love of teaching allowed me to benefit from his pearls of wisdom. We even spent times making homemade boxes that he had created for students to become proficient in performing sacrospinous ligament suspension surgery using his Miya Hook invention. Watching him develop his own teaching tools and seeing my mom glue and stitch these ‘homemade vaginas’ was definitely an experience that was unique in the Miyazaki household. It did take a bit of explaining to my wife-to-be when she first came into my parent’s home – to explain all the female anatomy teaching tools that covered our kitchen table and filled a good portion of our garage. I must admit there may have been times (only one or two) when I might have preferred seeing my friends or playing tennis during school breaks, but as my own career has progressed, I have become immeasurably grateful to him for encouraging me to come along and be fruitful with my time. Current models lack the critical tactile feel for effective learning. Cadavers are very expensive, and they have limitations on use and true tissue feel when performing the actual procedures. The Miya Model fulfills the needs that fall between cadavers and plastic models.